You’ve done your research and you know that switching to a cloud VoIP system will be beneficial for your business — after all, it will save you on communications costs while also improving the quality of calls. That doesn’t mean, however, that you can work with the first business VoIP service you find! It’s important to find the VoIP solutions that are right for your business. In our blog, we cover everything from improving the call quality of your VoIP system to what voice and data cabling is. We hope you use our blog, which is regularly updated, as a resource to help you find the right VoIP system for you. When it comes to VoIP software, we know what we’re talking about here at Dutale Inc. If you’re in Moreno Valley or another part of Southern California, contact us today for office phone systems for small businesses, cloud VoIP, improved office communication, and more. We’ve all been there: our technology stops working, we’re too busy to get help or to figure it out ourselves, and it just sits there for weeks until we get around to it. That obviously can’t happen with your VoIP software — you need it daily for office communication! When you look for VoIP solutions for your Moreno Valley business, be sure to check out what the support is like. Is there 24/7 phone support? Live chat support? Someone who will come directly to your office? At some point or another, it’s likely that your business VoIP solution will face problems; be prepared for it from the start by choosing stellar business telecommunication with support. VoIP systems use the internet to serve you, meaning they are susceptible to security attacks daily. And because your VoIP software holds everything important to your business, you’ll definitely want to make sure it’s protected. Don’t sign off on finding a VoIP solution because of this! Simply find one that offers behind-the-firewall protection, end-to-end encryption and authentication, private VLANs, and other security measures. 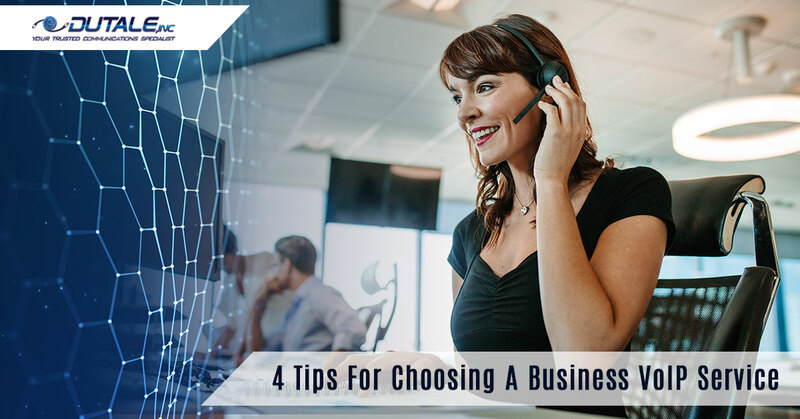 Often the most important factor for people looking into VoIP solutions, the plans and pricing can largely influence which business telecommunication option you move forward with. Sure, you could find a VoIP service that has all you want and more — but if you can’t afford it, then what’s the point? Many VoIP providers will offer custom mobile apps or third-party app integration for when employees are traveling and using their VoIP system. This can be essential for ease and productivity when your employees are out of the office but still trying to get work done. Ready to find the right office phone system for your small business? Work with Dutale Inc. in Moreno Valley and Southern California for Star2Star and Zultys VoIP solutions. We offer the support you’re looking for, and you can even request a free quote for your business VoIP solution. Contact us today to get started.